For his custom doors and furniture Abdulrahman Al-Ghamdi put his trust in innovation made in Italy. Particularly attentive to the latest advances and digital technologies, he chose SCM’s CNC accord 25 fx machining centre, to increase productivity and meet his customers’ demands for increasingly custom products. He is now looking at the latest digital frontiers of the service technologies. 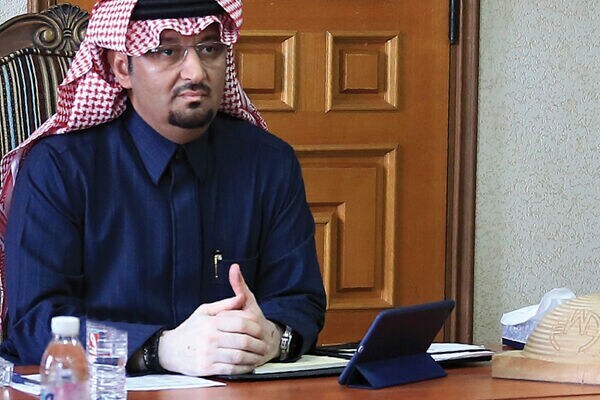 Abdulrahman Al-Ghamdi, President of Al-Ghamdi Wood of Dammam, is a leading light in Saudi Arabia for the production of doors, closet cabinets, kitchen cabinets and other wood works. A “global and local” businessman at the same time, he is closely linked to his land and its traditions. 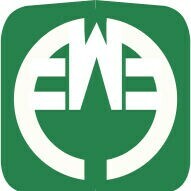 Al-Ghamdi is behind a project - Al-Ghamdi Wood Industries Company LTD - that is providing a significant contribution in creating development and new employment opportunities in this Middle Eastern country. In fact Saudi Arabia, well known for its oil and gas production, boasts other strong economic sectors, and he is the leader in his sector. At the same time, Al-Ghamdi is also a man with a strong attraction for everything originating from the West, in terms of technological opportunity. It’s no surprise that in the autumn of 2016 he decided to visit Italy, Rimini to be precise, and the headquarters of the world leader in secondary woodworking technology: SCM. Accompanied by Roberto Vitri, Scm Group Regional Manager Middle East and India, and Diego Piersanti, Sales Manager of Scm Group Middle East, the Saudi entrepreneur wanted to see SCM’s most appreciated CNC machining centres up close. 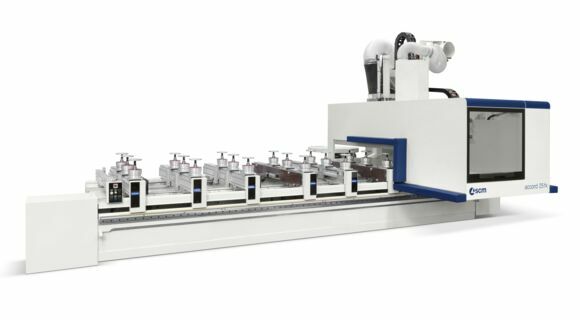 From SCM range he chose the accord 25 fx, the CNC machining centre that marries high technology performance with maximum simplicity of use, for the production of doors, stairs, frames and solid wood parts and to machine panels in wood and other materials. Clearly the SCM staff weren’t surprised to see him as one of the most interested guests in the Group’s latest digital developments, in January 2018, at the SCM Open House: “SCM Digital Days”. Al-Ghamdi Woods Industries is a thirty-strong company, between offices, woodworking workshop and painting department. Its production is exclusively focused on wood: from pure solid wood to plywood, from MDF board to blockboards. These carefully selected precious materials, along with an attentive and innovative design, have increased the company’s standing and appreciation for its production of extremely high quality doors. Not only, in recent years Al-Ghamdi and his staff are seeing a strong rise in requests for custom furniture. The company carries out all stages of the production process in-house, from selecting and preparing the materials to the assembly, including the panel sizing, sanding (all with SCM machines) and the more specific operations on the accord 25 fx: “One of the most important technologies in our production phase”, comments Al-Ghamdi. Amongst the advantages of the accord 25 fx, the Saudi entrepreneur points out the possibility of reducing the manual work, being able to program and obtain a more precise preview of the finished product and render the range of finished products broader and more varied. “Using advanced technology has undoubtedly allowed us to increase our productivity”, adds Al-Ghamdi. “In particular thanks to the 106 CNC machining centre we have considerably reduced the cycle times as well as the waste of raw materials”. The manual work is still important, but less incisive than before. “Before we purchased a CNC machining centre, we did some of the panel sizing, sanding and accessorial operations by hand, as well as the lock grooves, concealed door closers and hinges. All these operations are now performed by the accord 25 fx. Currently the only phases that are still done by hand are the assembly and the finish of the components”. The Saudi businessman doesn’t have any doubts about the potential of advanced technologies: “Companies will increasingly invest in technology to optimise their productivity and quality, as well as to develop a wider range of custom products”. But why invest in technologies “made in Italy” in particular? “For their high level of innovation, quality and for the high level of after sales support, guaranteed through the SCM Partner in Saudi Arabia (Saudi Industrial Machinery Co. – SIMCO) and through the technical staff of SCM Middle East in Dubai (UAE). For us it’s important to find concrete and quick answers to doubts about product warranty, technical support and other issues that can come up once the machine has been purchased. This is another one of the reasons that made us choose SCM. Based on our experience, with SCM and SIMCO we can say that we have found a reliable and fast response in terms of service and maintenance. It’s lucky that the Group is present in the Gulf and the dedication of the SCM service staff is truly praiseworthy!”.